Fun favours for parties and celebrations. 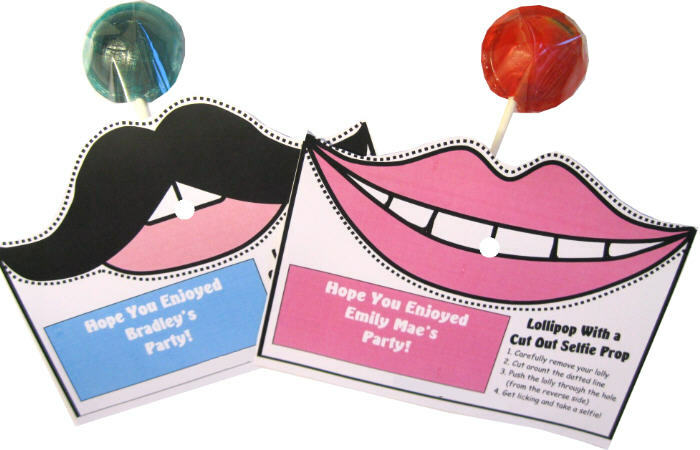 Cut around the dotted line, push the lolly through the hole and pucker up for a selfie! Each Selfie-Pop comes complete with a yummy, fruit flavour mega lolly.